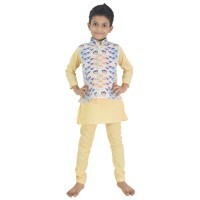 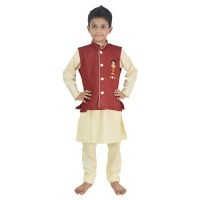 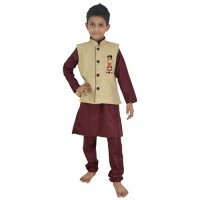 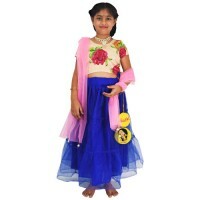 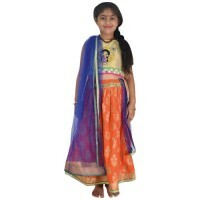 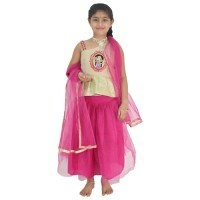 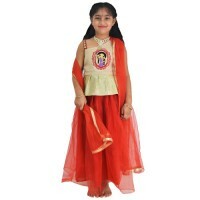 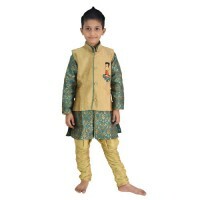 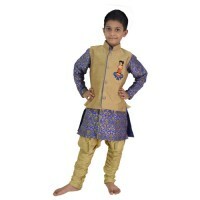 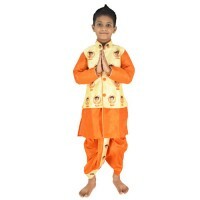 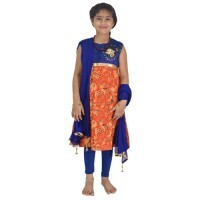 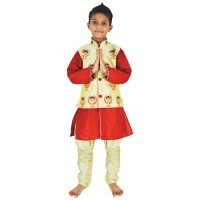 Charm your little girl by gifting her this Poly Cotton and net Ghagra Choli Set. 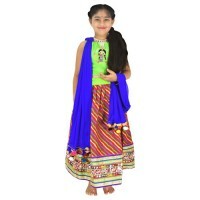 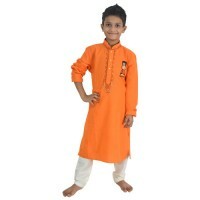 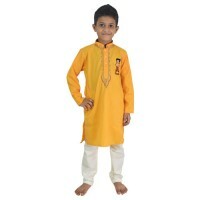 This classic Indian dress is perfect for any traditional event. 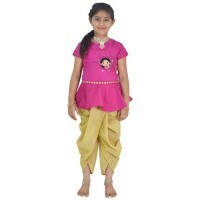 The poly-cotton mix makes sure your baby girl is super comfortable!